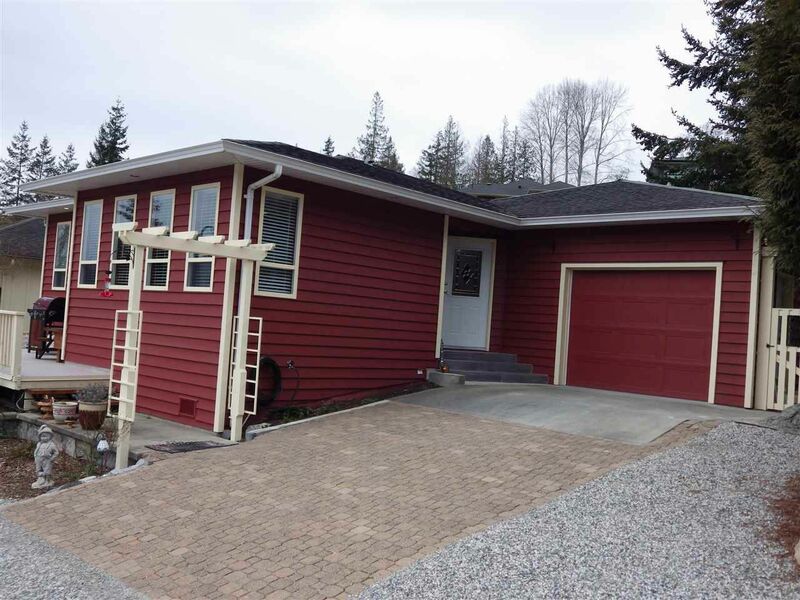 'Easy one level living and close to downtown Sechelt' This lovely 3 bedroom (with den) and 2 bathroom home features hardwood floors, gourmet style kitchen with quartz countertops, new appliances and a cozy natural gas free standing fireplace. Pride of ownership is evident throughout. Enjoy the sunshine from the sundeck or enjoy the private patio in the backyard and the short stroll to all the amenities of downtown Sechelt. Attached garage completes the package.